When you think of seasonal allergies, you might think of spring and summer allergies, but allergies in the fall of the year. 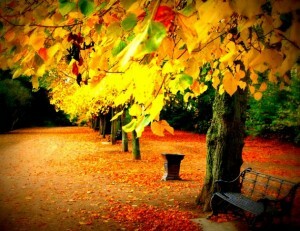 Allergies in autumn affect 35 million people in the US each year. Many people suffer from allergies in the autumn months, just as much as in the spring and summer. It is understandable that individuals will have allergy symptoms in the fall of the year, because weeds pollinate from late in the summer and into the fall months. Many trees pollinate in the summer months, but some pollinate after the first frost of the year. Grass, flowers and other vegetation pollinate during the spring, and weeds pollinate in the fall season, which is why some individuals have what appears to be cold symptoms nearly all year round. Ragweed pollen is one of the most common causes of allergies in the fall of the year. The pollen from ragweed and goldenrod are very light and can be carried on the air currents for up to 400 miles. Hay fever is so prevalent in the fall because the pollen of these weeds and others such as pigweed, sagebrush, and sheep sorrel is so lightweight that they can ride on the wind and be carried into your lungs whether you are outdoors or indoors. Not only is pollen the culprit during the fall of the year, but dust and mold in the home can cause allergy symptoms during the fall and winter too. Fall allergies are the chief cause of illness in children, which is why they miss so much school in the fall months. Parents often end up missing work, because their kids are sick, so fall can be a difficult time of year for everyone. 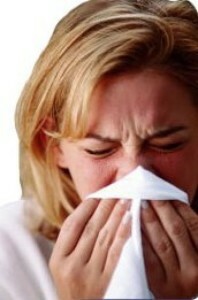 People who suffer from fall allergies sometimes feel tired, and have stuffy or runny nose. They may also sneeze and cough, and have wheezing for people with asthma. Seasonal allergies make you feel so tired because your immune system is using so much energy trying to fight the allergy that it saps your strength. To help your body fight the allergy, you can get over-the-counter allergy medicines and decongestants. You can also get prescription allergy medicines, if the OTC medications don’t help much. If you work with machinery, or drive you should not use antihistamines that can make you drowsy. There are allergy medicines that are made from a non-drowsy formula. The non-drowsy formula would be a good type of allergy medication to give your child, so he/she won’t fall asleep in school. You should try out the non-drowsy formula on yourself or your child on a day when there is no work or school to make sure that you don’t get drowsy from it. 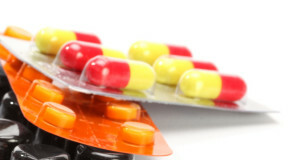 Some non-drowsy allergy meds will still cause drowsiness in some people. Aside from medications, filtering the air in your home will be an effective way to control the amount of pollen and dust in your home environment. Pollen finds a way of getting into your home, just as dust finds a way onto your counter tops, and furnishings. If you don’t already have an air purifier, you should get one that has a HEPA filter on it to catch the pollen and dust particulate out of the air. The best way to keep pollen out of your home is to shut all the doors and windows. Your air conditioning filters should be changed at regular intervals throughout the year to keep the inside of your home free, as possible, from pollen and dust particulate. The filters on air purifiers should be changed according to the manufacturer’s recommendations. Most people who have allergies to dust and pollen may also have worse allergy symptoms when there is smoking in the home. For your health, and the health of your family, you should not allow any smoking in your home, because the irritation caused from cigarette smoke can exacerbate the symptoms of seasonal allergies.